JWO JEWELERS LOVES TO MAKE BEAUTIFUL DIAMOND PIECES FOR EVERYONE THAT APPRECIATES DIAMONDS AND THEIR UNIQUENESS! The Name Diamond is derived from the Ancient Greek and translates to: “Unalterable, Unbreakable, Untamed”.The fascination over the fabulous stone called the “DIAMOND” has been recorded in history by many cultures, over thousands of years. According to Quora’s Online Resources and our own take on the subject, from a geologist point of view, diamonds are very rare, it takes processing 200-250 tons of rocks to get 1 carat of diamond (that’s 0.200 grams only), and this might not even be gem-quality diamond. We aren’t even mentioning fancy colors diamond, which makes no more than 2% of the world diamond rough.Quora’s blogger shared that from an economist’s point of view, the diamond is as rare as the market and consumers believe it is, and as rare as the major diamond manufacturers portrait it to the masses by controlling the flow of rough and the media.That’s why before the De Beers marketing campaign “A Diamond is Forever” which is believed to be the strongest most successful advertisement in the history of mankind, diamonds were only acquired by royals and stone collectors, and had no attachment to things like romance, love or marriage. Today peopl in various continents, and from different cultural backgrounds believe it is. From a scientist’s point of view diamonds are fascinating pieces of engineering made by Mother Nature. If you look closely at the arrangement, symmetry, and simplicity carbon atoms bond inside of it in order to give it its physical characteristics of hardness, brightness and pureness and optical properties.THE DIAMONDS SHAPE AND THE FINAL STYLE CHOSEN BY YOU IS WHAT MAKES THE PURCHASE SPECIAL. YOU DO NOT HAVE TO STUDY DIAMONDS TO RESPECT NATURE’S MIRACLE and the conditions and time that led to the formation of the diamond. The effort and tremendous skill it takes to extract it and polish it into the final piece of jewelry, makes it special enough for humans to give it to signify a life long union.We can’t expect nature to create anymore of these things during our lifetime -or even humanity’s lifetime- as it takes at least 10 million years for one fertile diamond pipe to form and break the earth crust. All of that and more, is what makes it special and rare on earth, but keep in mind that’s only on earth. Is it possible that there are planets that are made up entirely of diamond? 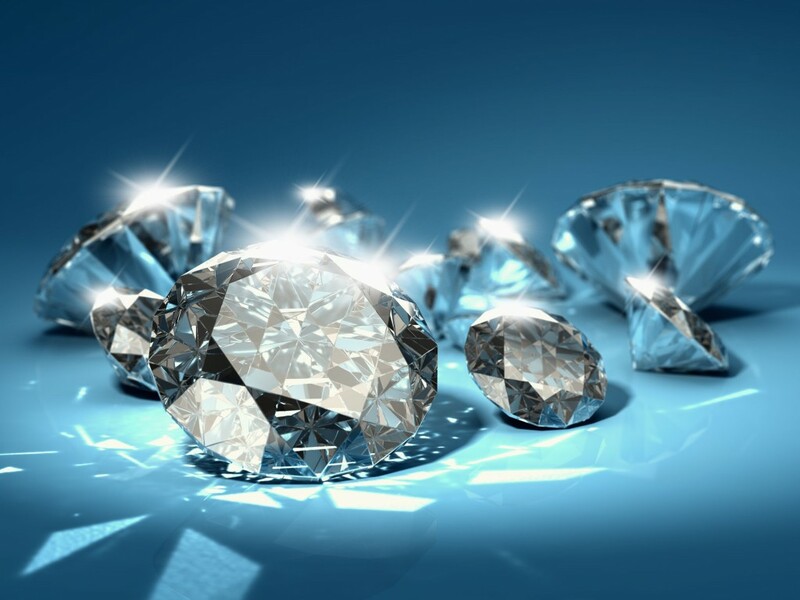 Well according to Super-Earth Planet Likely Made of Diamond there is such a planet, so in the grand scheme, diamonds are just a stone afterall. WE OFFER CUSTOM DIAMOND DESIGN AND ALSO HAVE AN ARRAY OF CHOICES IN STOCK AT OUR BOUTIQUE JEWELRY OFFICE IN ROSWELL. OF COURSE WE WILL GLADLY REPAIR YOUR DIAMOND PIECES, AND APPRAISE THEM AS WELL. WE ARE YOUR PRIVATELY OWNED EXPERT JEWELER THAT YOU CAN TRUST WITH YOUR” HEIRLOOM PIECES”. WE HAVE ALSO ADDED VON HOCH DIAMOND DESIGN JEWELRY AND ENCOURAGE YOU TO TAKE A LOOK AT OUR VON HOCH SELECTION.